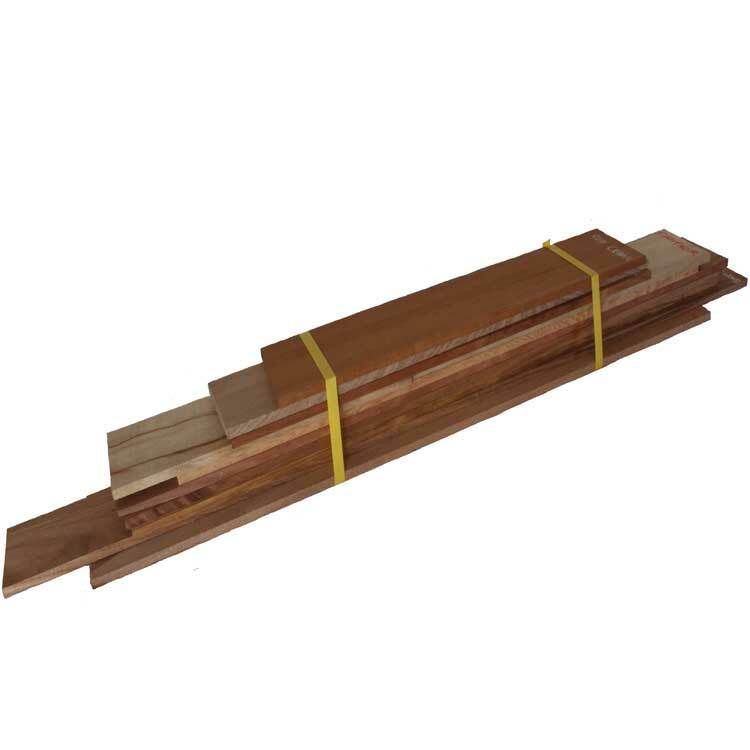 Timber lengths pack-quality timbers for your box making requirements. Do you want to experiment with a range of different box making timbers? Just getting started in box making? Do you lack space for large workshop machinery; no space to store timber? Then we can make up a timber lengths pack to suit your box making requirements! To get you started, we recommend that you purchase a mixed timber lengths pack, which has a variety of timber types, ranging from medium-to-high grade box making timbers. The experience of using a variety of timbers across a number of boxes, will inform your preferences for future box making. Contains a mix of box-grade boards, up to one metre long x 10mm thick x 100mm wide, dressed-all-round [DAR] to 180 grit. All measurements are approximate. The number of boards in the mixed pack is determined by the combination of the timbers. a pack of a single timber type. Call us for a quote on a timber lengths pack for your special box making requirements. We make a timber pack for the Desktop box and a timber pack for the Trinket box. We can also make an order for the Special jewellery box. See the gallery for images of the finished boxes. Please note: postage will be added to purchases after we receive your order. We try to maintain a stock of box making-friendly timbers. When you order your pack, we will call to discuss your requirements and let you know what’s in stock. We can also make suggestions to help you on your box making journey. Like how to use particular timbers, what their properties are, combining timbers, and, how to finish your boxes.